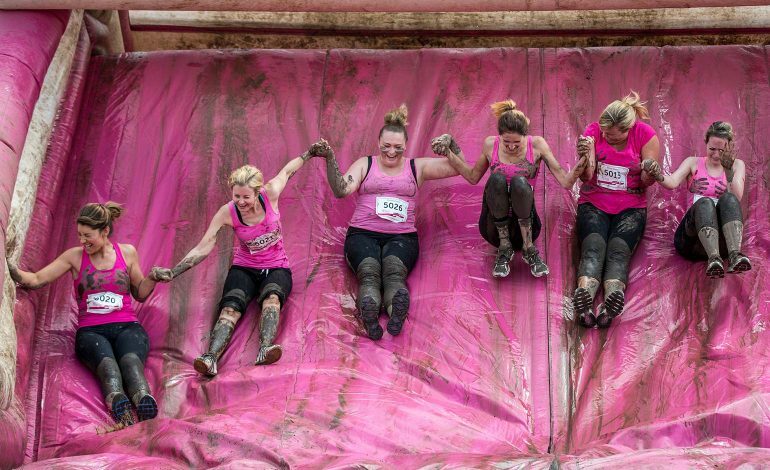 Women in Bath are being urged to pull on their trainers and enter Cancer Research UK’s Bath Pretty Muddy, as there are only a few days left until registration closes. Over 1,500 women have already signed up to take part in the Pretty Muddy event on Sunday 23rd September at Bath Racecourse, and there are some places still available. For the first time ever, Pretty Muddy Kids will be taking place before the adults’ event. Entry closes at midnight on Friday 21st September and organisers are encouraging women committed to the cause to sign up to the event right now at raceforlife.org. Cancer Research UK’s Race for Life, in partnership with Tesco, is an inspiring women-only series of 5k, 10k, and Pretty Muddy events which raise millions of pounds every year to help beat cancer sooner by funding ground-breaking research. Ruth Chamings, Event Manager for Race for Life said: “Every day, around 90 people are diagnosed with cancer in the South West. “Now is the time to commit to Race for Life, join like-minded ladies at the start line and make a real difference in the fight against the disease. “By taking part and raising money, our participants will play a crucial role in helping to turn discoveries made in the lab into new, better treatments for patients in Bath and across the UK. That’s why every step, every person and every penny raised counts. Ruth continued: “We’re calling on the women of Bath to sign up today as their participation and contribution is so important. “Cancer is a disease that affects us all in some way. By taking part in Race for Life, people can come together to remember loved ones lost to cancer or celebrate the lives of those dear to them who have survived. To enter Race for Life Bath, visit raceforlife.org or call 0300 123 0770.